As the partial government shutdown continued due to a lapse in federal appropriations in early January, many park sites and visitor facilities in the Golden Gate National Parks remained open. But visitors are being encouraged to do their part to help preserve our unique parklands during the shutdown. The first and most important way visitors can help is by utilizing “Pack it In and Pack it Out” for trash. Thanks to the resources of the Golden Gate National Parks Conservancy and the Presidio Trust, trash is still being removed at some park sites. But during a shutdown or not, we all need to chip in to keep our parklands pristine, and that means keeping trash to a minimum and leaving no trace. For the duration of the shutdown, please take all trash with you when you leave the parks. And plan ahead, as most public bathroom facilities in the parks are closed. Another way you can help is by taking public transportation to the parks. Visitors can expect traffic delays in the Marin Headlands and elsewhere during the shutdown, and limited parking due to many parking lots being closed. But many park sites are accessible via public transportation: Check our transportation page, San Francisco MTA or 511.org and other trip-planning sites for more information on getting around in our parks. -Alcatraz Island will remain open indefinitely for day programming, though there is limited National Park Service staff interpretation and night tours are canceled. 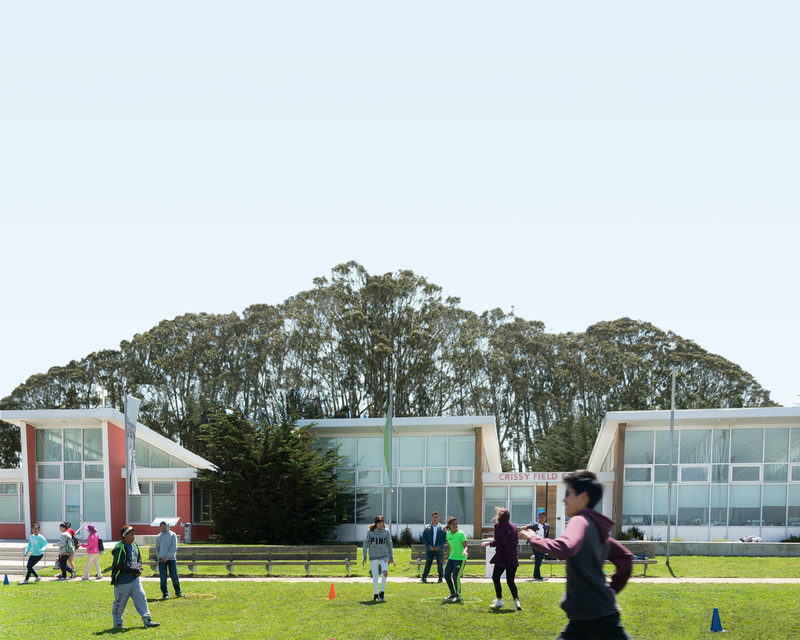 -Most facilities and park sites at the Presidio and Crissy Field, including the Presidio Visitor Center and the Warming Hut, remain open during regular business hours. -The Golden Gate Bridge Pavilion, Round House Cafe, and Bridge Cafe remain open during regular business hours. -Muir Woods National Monument, Ocean Beach, Lands End, Fort Funston, and Tennessee Valley are open. -Fort Point and the Marin Headlands Visitor Center remain closed. Point Bonita Lighthouse, Battery Townsley, and the Nike Missile Site also remain closed. -Many other parking lots, restrooms, and visitor facilities remain closed, including at Mori Point, Stinson Beach Park, Muir Beach, and China Beach. -All volunteer programs remain canceled, with the exception of those at the Presidio operated by the Presidio Trust, and those with California State Parks, Marin County Parks, and the Marin Municipal Water District. During a federal lapse in appropriations, the Conservancy and all official nonprofit partners to the National Park Service are not coordinating volunteer activities on NPS-managed lands. The NPS sets this policy for the health and safety of volunteers and staff. Please check our event and volunteer pages and your email for updated information.